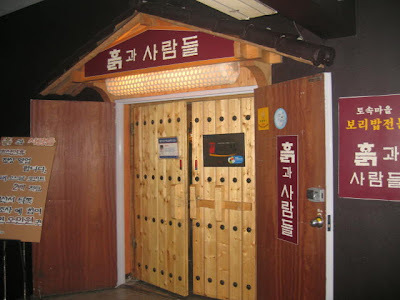 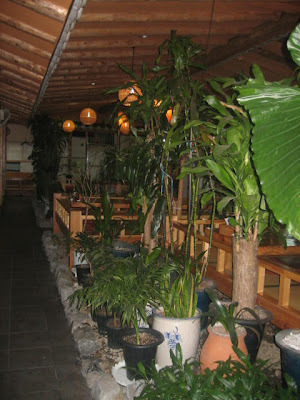 This is my *favourite* restaurant, Hurk-Kwa-Saram-Dur. 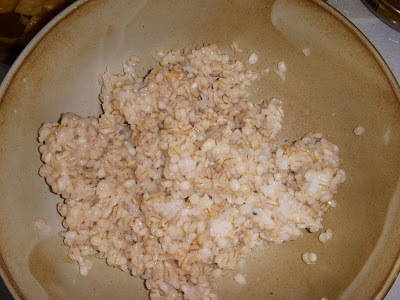 It means "People of the Earth". 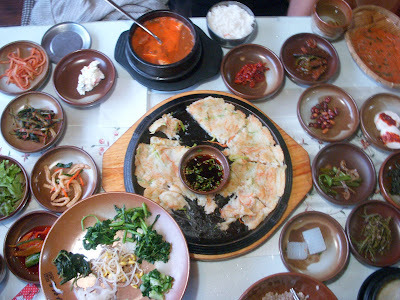 It's about a 2 minute drive from my apartment in Eun-haeng-dong. 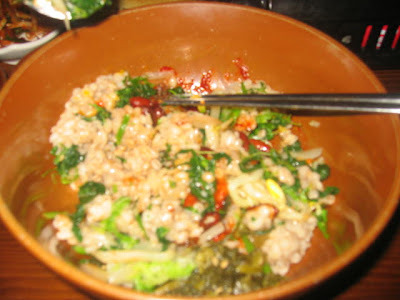 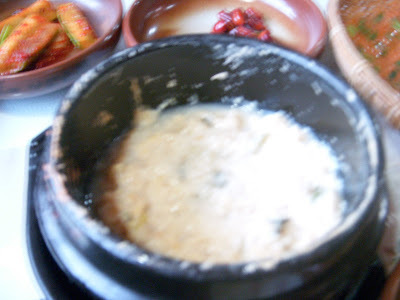 Their best dish is called Bo-Ri-Bap (barley with a mixture of vegetables & hot sauce). 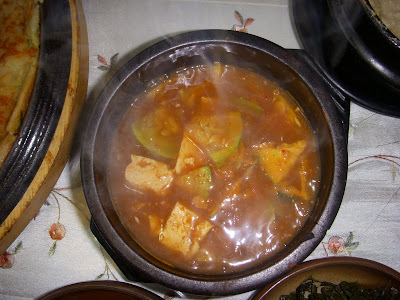 Add a bit of gochu-jang (hot sauce) & mix it up well! 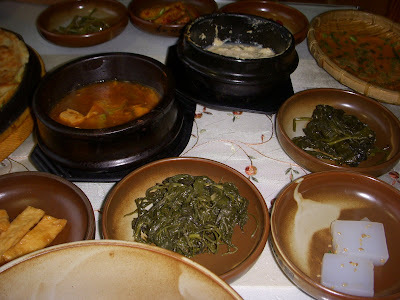 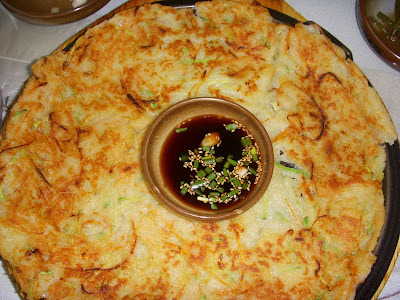 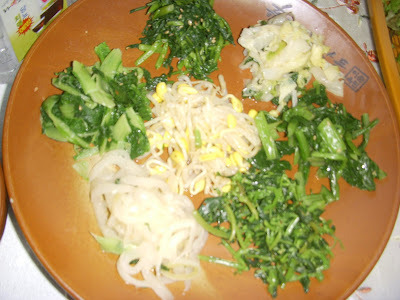 There can be up to 20 side dishes included in a Korean meal!